For those of you who are up to date with our articles, you would be aware around the importance of sleep quality regarding the maintenance of health and function. In fact, recent research suggests that getting adequate good quality sleep is pretty much the best thing you can do for your health. This has come with evidence clearly demonstrating that people who get less sleep on a regular basis are much more likely to develop cardiovascular and metabolic disease, dementia, age related declines in cognitive function, and even cancer! So, in short – sleep is incredibly important. However, in modern society, there are number of common issues that plague us, and subsequently inhibit our ability to sleep – one of which is snoring. 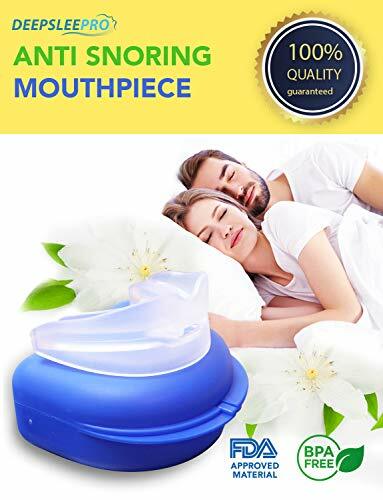 As a result, finding affordable and effective methods of stopping snoring and enhancing sleep is a great way to cause large improvements in health, and staving off the onset of potential disease. Which is exactly where snoring mouthguards come into the discussion. As you might have guessed, snoring mouthguards are simply mouthpieces that can be worn overnight to stop you from snoring. You see, snoring is thought to be the caused be the muscles of your throat blocking your air passages when in a lying position. When worn in the mouth, these unique devices hold your jaw in a slightly forward position. This places the muscles of both the throat and mouth in a position that allows the airway to open, thus ensuring that you can breathe smoothly and without any difficulty. Now you might be wondering why this is important – so I should reiterate that snoring is more than simply an annoying noise. People who snore are at an increased risk of developing sleep apnea , heart disease , mental health issues , and cognitive dysfunction , while also seeing unexplained weight gain  and declines in libido . So yes – stopping your snoring is going to have some profound health effects (while also keeping your partner happy…). What to Look for In a Snoring Mouthguard? As people have realised how effective these tools can be, the market has become somewhat saturated with options – in which some are much better than others. Which is why you should make a few considerations when looking for a mouthpiece. Now, first and foremost, I should point out that there is no best option that will suit absolutely everyone. The best option for you is going to be dependant on your sleeping preference, the size of your mouth, and whether you have braces or not. As such, it is imperative that you do you research and find the option that best suits you on an individual level. If you have braces, find a mouthguard that is suitable for braces. If you have a smaller jaw, then opt for a thinner design. And if you breathe through your mouth when sleeping, make sure you find one that allows this to occur comfortably. 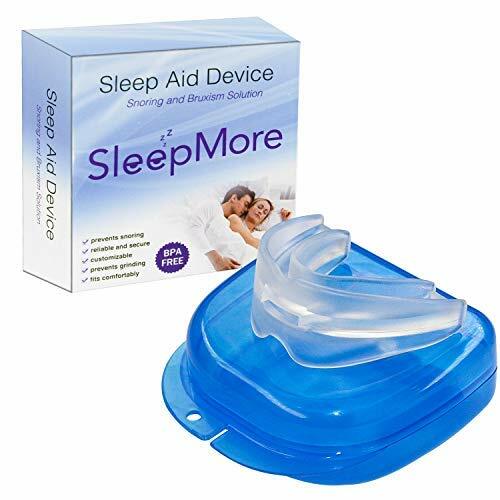 It quickly becomes apparent that snoring mouthguards can have a huge impact on your health and function by keeping your airways open and your sleep quality high. As a result, we have gone and found you some of the best options available on the market. The slumber pro is one of the best quality options on the market at the moment (if not the best quality option). Approved by the FDA, this great mouthguard is durable, comfortable, and designed using the highest quality production process. This adjustable option also comes with a self-moulder that you can use at home to ensure that it fits your mouth perfectly. This has been extremely well received by those suffering from sleep apnea, with some even suggesting its more effective than a C-pap machine! This great option by Tomiya is a perfect choice for those with braces, because not only can it be moulded easily at home to fit the shape of your mouth perfectly, but it can also be remoulded if it needs an adjustment. 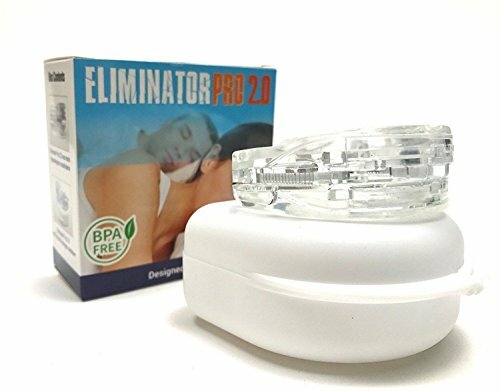 This great choice is FDA approved, promotes good airflow into the lungs, and also protects you from grinding your teeth at night. This mouthpiece by P&J is one of the most popular on the market – and for very good reason too. 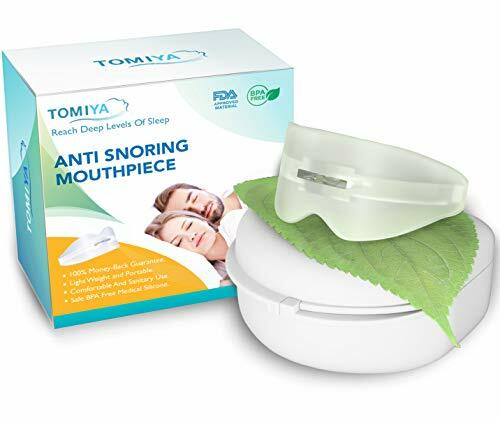 Using a simple and thin design, this FDA approved mouthguard has been shown to fit small mouths in a comfortable manner, while stopping snoring and enhancing airway function. While this is a great choice for literally anyone, it is perfect for those after a slimmer design and prefer a thinner mouthguard. 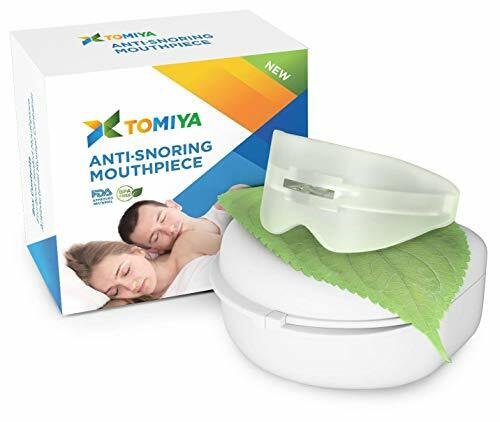 For those of you who want to give a snoring mouthguard a bit of a go, but don’t want to spend heaps of money, look no further. 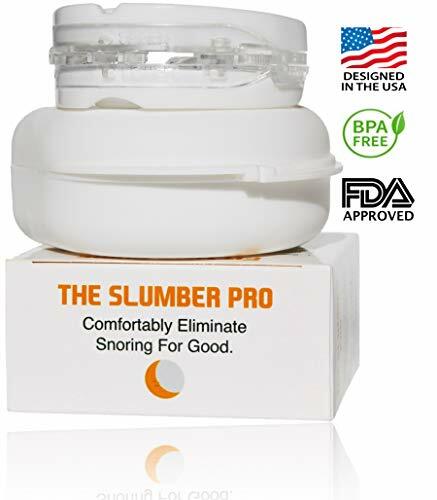 This excellent product by Sleep More provides a simple option that has been extremely well received by consumers, with many suggesting that it has great capacity to enhance sleep and stop snoring completely. Last but not least we have this fantastic option by Eliminator. 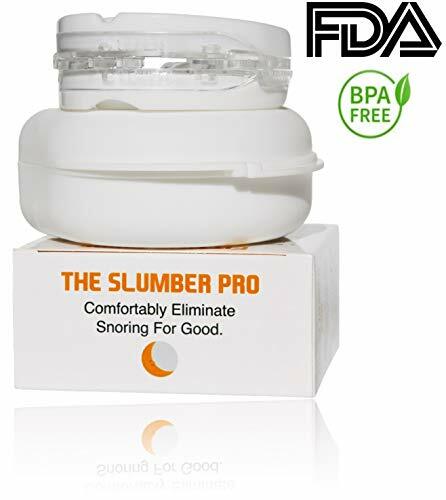 This is another FDA approved snoring mouthguard that has been shown time and time again to boost sleep quality and completely stop snoring in its tracks. While this is one of the more costly options on the market, it is extremely comfortable and effective – in fact, I would argue that it is worth the extra couple of dollars if you are after a great option that will last you a long time. Sleep is hands down one of the most important things you can provide your body – and snoring is arguably the most common means of interrupting it. Through this interaction people who snore have been shown to be at an increased risk of disease and illness, while also seeing reduced function on a day to day basis. As a result, finding simple and effective ways of stopping snoring is imperative to health. With this in mind, snoring mouthguards provide a great option that are both effective and affordable. By opening the airway and promoting healthy breathing patterns, these have been shown to improve sleep quality and stop snoring in a big way. As always, if you have had any experience using snoring mouthguards then we would love to hear about it – so drop us a comment and we will get back to you ASAP!